Inert cotton pads and menstrual cups good! 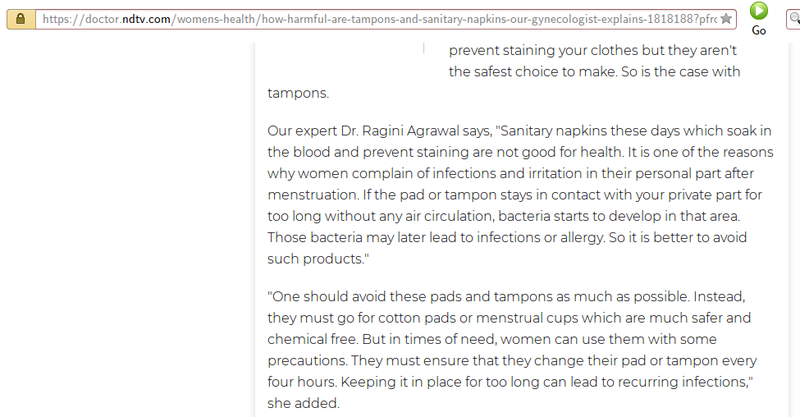 Sanitary napkins with chemicals bad! I thought something was wrong with this campaign. Now I know. Globalists wouldn’t spend good money to help women unless it can give them cancer or make them infertile. Large sections of the women population still not buying these non-degradable polluting products. Reptilian News – Social media, Internet of Things & Cloud Computing cause Global Warming!